For budding social scientists (Berger and Luckmann) in search of an e-book bargain – Joyce's mystery and fiction book reviews with some non-fiction too! Invitation to Sociology is the book that made me become a Sociology major . New to college, I had never even heard of the field. Peter Berger made the subject intriguing, applicable to every day life and a route to understanding more about the world. Many courses later, I still felt a fondness for this book. 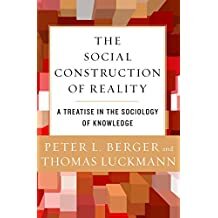 In this seminal book, Peter L. Berger and Thomas Luckmann examine how knowledge forms and how it is preserved and altered within a society. Unlike earlier theorists and philosophers, Berger and Luckmann go beyond intellectual history and focus on commonsense, everyday knowledge—the proverbs, morals, values, and beliefs shared among ordinary people. 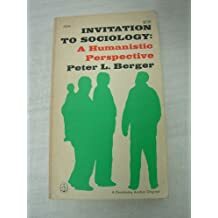 When first published in 1966, this systematic, theoretical treatise introduced the term social construction,effectively creating a new thought and transforming Western philosophy. So…if you were a Soc major and want to revisit the classics, here is your chance. It is also a good opportunity for those who would like to learn a bit more about this academic discipline.